Berkey Water Filter Folks | Better Than Bottled & Less Than .02 Per Gallon! Hi, I'm Bill Hanover and I'm so glad you stopped by! We trust and use our Berkey Water Filters and are happy and proud to be authorized Berkey Dealers! That is real contact info above. Just give us a ring or email me if I can be of any help! 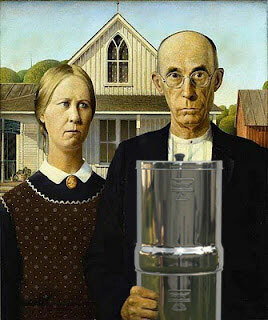 Thinking About Buying a Berkey Water Filter? On a Tight Budget or Only Want an Emergency Water Purifier? Our Easy Peasy Photo Instructions Will Show You How to Make Your Own Homemade Water Purifier Fast & Cheap! 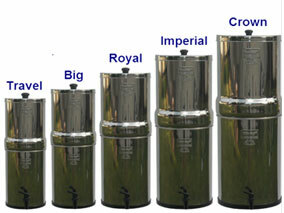 Premium Stainless Steel Water Purifiers For Elegance and Lasting Quality. These Are Berkeys’ Finest Home, Group and Emergency Use Water Purifiers! Take Anywhere Berkey Water Filters For Hiking, Camping, Cycling etc. 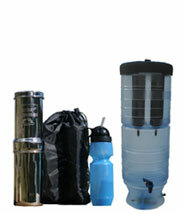 Our Portable Water Purifiers Are Also an Important Part of You “Bug-Out-Bag” or 72 Hour Emergency Kit! Why Do You Need the Best Water Filter and Purifier Anyway? I Mean, Really?! You’ve probably always had great water on-tap 24 hours a day your entire life. Why bother, and why shell-out your hard-earned money for something you don’t even need? While that makes perfect sense to most people; a wise man said “you can’t prepare for a crisis when you’re in the middle of it!” That might be the best reason for getting your own water purification system…BEFORE YOU NEED IT! When you get down to it, it doesn’t matter if you chose a Stainless Steel Water Purifier, a Berkey “Light” Water Purification System, or even make your own Homemade Water Purifier… they all do the same thing. And, they all use the “Black Berkey Purification Elements” to filter and purify your water… way beyond government standards and regulations. You want the peace of mind you get when you know you can take care of your own needs if an emergency happens. Having access to a water purifier turns nearly every water source into life-saving water, even if it is water you wouldn’t normally drink i.e. from a lake, pond, river, swamp, rain, flood waters, or even a mud puddle! You know your city or well water could also become contaminated or unavailable for some reason; and you hope that never happens, but it does. Be prepared. Next to protection from immediate dangers from extreme weather or killers, we all need air, water, and food… in that order. If you run out of air it’s game over, but the odds are there will be plenty of air to go ’round even during the worst disasters. Water, Food and Shelter are non-negotiable requirements for human life. Many of our customers buy our water purifiers because they hate the taste or smell of their water. Others want to reduce or eliminate things like fluoride, arsenic, chlorine, heavy metals, and other “nasties.” I hesitate to say it… but many water supplies have trace amounts of feces and sometimes parasites in them. This just cannot be acceptable! You don’t want to be drinking that stuff no matter what! Just imagine serving it to your kids… NO WAY! The bottled water industry has become a multi-billion dollar market in the US. When I was a kid we laughed at people who paid for bottled water! It was absolutely ridiculous to nearly everyone. Now it is commonplace, and I’ve done it too. The truth is… you can make your own bottled water from nearly any source and it will be purer and a lot cheaper than anything you can buy at the store! If there is a disaster in your area and water becomes an urgent life-sustaining need, you may be able to boil whatever water you can find (IF fuel is available,) but the truth is boiled dirty water is drinkable, but do you really want to drink it? Not me! A small investment in a water purifier today could literally save your life and help keep your neighbors friendly if food and water are in short supply or unavailable during a disaster or in the aftermath. You can literally be a HERO or a Victim…You get to chose! I can’t afford a water purification system right now! OK, I’m really sorry to hear that. But there is another way. Just buy a couple of purification elements, a spigot and a couple of buckets. You can see the compete instructions on how to build your own Homemade Water Purifier on this page. I already have a water purification system installed in my home; why would I need one of yours? That’s great news! As long as you have water pressure, you are in better shape than most folks. The Berkey Water Purifiers DO NOT RELY ON CITY OR WELL WATER PRESSURE! This is a very important distinction worth thinking about. During a serious emergency like a natural disaster, you are very unlikely to have pressurized water. Our water purifiers are PRESSURIZED BY NATURAL GRAVITY ONLY! They always work whether you have water pressure at the tap or not. Our water tastes ok and seems to be pure already; do I still need a water purifier? No, you may not need a water purifier for your current water supply at all. We call that honesty where I come from! ; – ) Some places have fantastic water at the tap all the time. In fact, most of the time the water in my town tastes great. Sometimes, however, they add a lot of chlorine to it or have advised us to “boil it until further notice” when it has become contaminated in the past. We bought our water purifiers mostly because of “What could happen” not any particular problems with our water currently. We see our water purification systems as an insurance policy in preparation for unforeseen disasters. We think a water purifier is a wise investment and sell them for the lowest prices allowed by Berkey. Please call or email me if you’d like to talk about your water purification needs. I’ll do whatever I can to be helpful to you. P.P.S. Here are some other resources on water purification if you are looking for more basic / general info. : Wikipedia – Water Purification and Washington State Health Dept. What great service. I am so delighted with my purchase. The stainless steel is a breeze to clean, not heavy. The water is so much better tasteing. We are drinking a lot more water, instead of soda. We just feel HEALTHIER. Thank You so much. All the best, from my family to yours. I received my order. Thank you very much. EXCELLENT service! I am impressed with your customer service and want to thank you for the outstanding way you handle your business. I am a small business owner and try hard to treat my customers as I would want to be treated. As a busines owner I can truly appreciate how you operate. I sent an email to you a week or so ago - on a Sunday afternnon, and received a response from you in minutes. When I decided to order a Big Berkey I came to your website because of that, and just thought it was cool to deal with someone like me. Congrats on your attitude, on enjoying what you do, and I wish you all the best. If you are like me and have done your research on providing clean/safe drinking water during emergencies, you will almost certainly end up purchasing a Berkey, or at least the Berkey filters and building your own purifier (Bill tells you exactly how to do this in his video). Given the simplicity of the overall design, the fact that it requires no pumps/pressure/electricity, the excellent quality of the resulting water, the high throughput of the filters, the ability to clean and reuse the filters over and over again, and the relatively low cost (even lower if you build your own system), it is simply the best system available on the market for emergency preparedness. Once you have made the decision to go Berkey, I HIGHLY recommend you speak with Bill. Bill's expertise and willingness to help is very apparent. His knowledge of the product line is extensive, and he appears to be more concerned with his customer's needs/requirements than making a buck - very refreshing in this day and age. We have placed several orders with Bill, and he has consistently treated us like we were his ONLY customer. 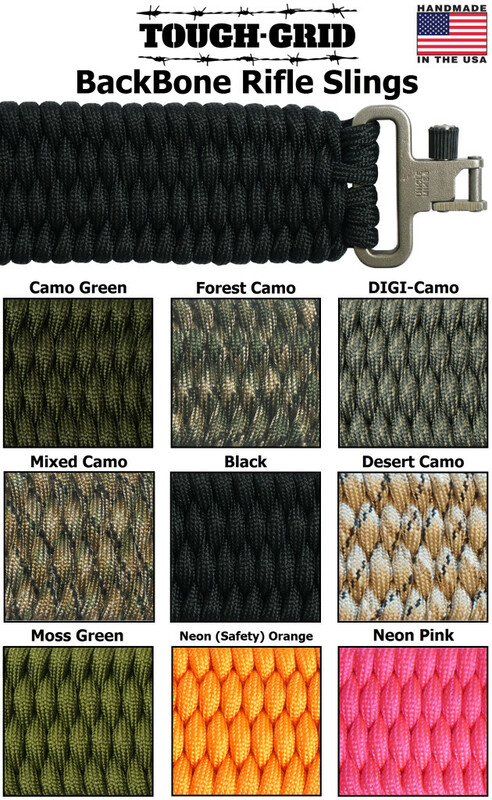 Taking Bill's advice saved us hundreds of dollars on our initial order. He really knows his stuff. We have recommended him to our friends and family, and have come back to place our second order. If you buy your Berkey supplies from Bill and Lana, I think you will agree, this is the only place to go for your Berkey needs. I am delighted with my shower water filter! I have a special needs child with Autism and she has high blood levels of lead and heavy metals. I shopped around and many filters I found were associated with salon and beauty applications and were expensive needing frequent filter replacement. I did not know Bill then but bought his filter. It was the most economical and would take out the stuff I didn't want. I put an elbow on the shower filter and use it for my tub spout! I am impressed with the service. When I called for a replacement I was told there is more life in it! That is good honest business! Thank you so much for all your help. I feel very strongly about getting prepared for self sufficiency and your fast service was great. Your recommendations were very helpful. I was confused about all the choices out there for water filter systems. I'm going to call you after this review toorder a 2nd crown berkey for another residence. I have friends take taste tests against any other bottled water and thepurified always wins. Thanks for great conversation and an honest transaction. Looking forward to future positive transactions with you. Take good care and stay"Lean", LOL. Recieved it in great shape, tested Berkey out with the Lake water behind the house. Tasted better than tap water. Expecting to get sport bottle in to drink the tap water at work. We have used the Berkey water filtration system with tap water for years. We really like the filters that help to avoid fluoride as well. We certainly appreciate the FANTASTIC customer service and attention to detail that we get from Bill the Berkey Guy!!!!! We recommend him to all our friends. I love water purifier that I ordered! It has given me piece of mind knowing that if I am in an emergency I will have a water purifier and that my family and I will have clean water to drink. I called Bill and he was very kind and patient with me telling me what he thought would work for me and my family within the budget that I had. I didn't feel any pressure whatsoever from him. I could tell that he was doing this job because he enjoyed helping people and that he respected the product that he was selling. I would gladly recommend that you buy a Burkey and I would recommend you get it from Bill! During these times of uncertain government it is best to be prepared and if in November we are successful saving ourselves from a Marxist driven collapse then I can always use my Berkey for camping. What a great guy. Spent a good deal of time talking with him about any number of "Preparedness" ideas. I'm new to the Prepper world. Bill is not only knowledgeable, but he is also true to his word. He offered my something, and at first it didn't show. I reminded him of it, and the product was sent immediately, and without any griping. I wish all service/sales companies in the US performed as well as he does. Just a quick thank you note for the very fast and friendly service, not to mention the exact product i wanted. Hopefully i never have to use it but i feel so much better now knowing i will have pure water to use no matter what comes. I don't even have to worry about those troublesome boil orders we get every once in a while from our water service. Berkley is a very impressive system which i chose after a very comprehensive study on water purifiers. It arrived fast and in perfect condition. Bill - Thank you so much for your good advice, but most of all, thank you for your honesty in helping us decide the best purchase for the money. Sadly, it is rare these days for a merchant to truly care about the customer and not take people for every dime possible. I've received the shipment and could not be more happy with the product. Thanks again for taking time (on a Sunday AND you wife's birthday) to answer all my questions. I’ve shared your website with other like minded people. I hope it brings you more business. I especially hope the New Year is full of good health and happiness for you and your family! Lets hope 2012 will take a turn toward more goodness in this world. You've been a great help with telling us about what Berkey water purifiers are all about. We love our new Berkey and look forward to clean and fresh water whereever we go! I wish there were more Stars to give, as 5 Stars comes nowhere close to the amount I would give. I was looking for the best water filter I could find. I ended up with the Black Berkey water PURIFIER. This is the best way to go, no doubt about it, as it actually Purifies the water, it doesn't just filter out some particles. I purchased 6 for now, and will be back for another 6 after I get a few other ducks in a row. I am not one for writing reviews, but I feel compelled to let anyone visiting this site know the type of person they are buying from. Bill spent well over an hour on the phone with me prior to my purchase. He went above and beyond, answering all my questions. As I continue to prepare for any type of emergency my family, my children may come up against, I feel better knowing there are others out there that truly care. I know where my money is going when I buy from Bill, it's not going to a faceless corporation, it's going to a friend. Thank you Bill for the great conversation and all your helpful advice; this review, coming from me, is a testimonial to the best buying experience I think I have EVER had. The current domestic and world situations have got me concerned to the point of making preparations. I've got the dehydrated food, but without clean water they wouldn't be worth much. I appreciate your honest, open communication and trust your judgement. The top-of-the-line unit arrived quickly. Like life insurance, I've got it but I sincerely hope I NEVER have to use it! This has taken a while. There has been a lot going on here in Alabama. Now, it's time for me to leave our testimony. As you know, we had several e-mails flying back and forth, that resulted in several telephone calls. Your web-site, e-mails and phone conversations were always very informative and helpful. You are always very very nice and easy to talk to. You do not over complicate things and are quick to reply to all questions. Well, the story begins in January of this year (2011)when we were visiting friends in Tennessee and we saw our very first BerkeyPurification System. After arrving home, I looked into it, and found information on the Berkey's. But, silly me, I procrastinated until 3 months later, as I could NOT make up my mind which system to purchase. After another trip to Tennessee, friends suggested one of the larger models, as they had bought too small! So, on arrivng home again, I found you on e-bay, which in turn sent me to your web-site. But, alas, I had procrastinated too long and the wait would be months and maybe many months. So, the last resort was a Berkey Light. It arrived in 3 weeks. After looking at it for a couple of days, I began putting it to work. Priming the filters, etc. To our wonderful surprise, the filtration system lives up to all friends had told us, and all we read, and all you told us! YAY!!! So, as you know, we are going to purchase a stainless system soon! Thank you so much Bill for putting up with my many questions and procastination. But, through it all, we have a water purification system doing it's thing in our home and are pleased, or a more accurate discription would be BLESSED! . A very wise purchase. We highly recommend the system and of course, you are the only person we would recommend purchasing from! It's been a pleasure and blessing getting to know you and once again we highly recommend You and your product!!!! May God bless everyone that purchases a Berkey system. And, we hope they enjoy drinking, as much as we do, water that's almost as pure as God originally created it to be!!! I’ve been getting progressively more concerned regarding the world outlook. Bought a year’s worth of dehydrated food, then thought I’d best get a water purifier as well. 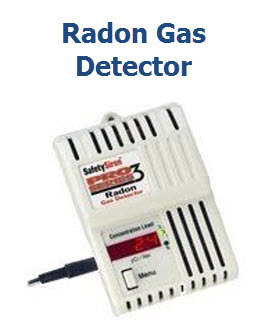 I am very pleased with the price, delivery, and web site efficiency. Ordered with ease, and got it in only a few days. I hope I NEVER have to use it! Can't tell you what a difference this makes in my life. Water tastes so good now, and setting it up wasn't as difficult as I thought it might be. Thanks for the hand-holding on that, Bill - everything works like a charm. The stainless Big Berkey looks awesome with my kitchen, very handsome!! Happy voyages! 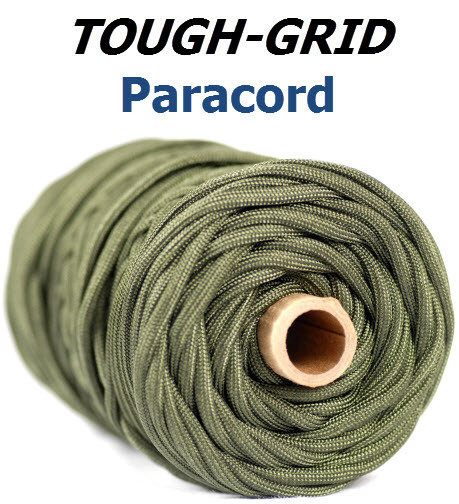 I first heard about these purifiers from a "prepper" website and was immediately sold on the concept that in any "Adverse Event" PURE water is second only to air. I started shopping, but was concerned that even though people were selling them in the same manner (order through site and shipped directly from manufacturer) they all had a different Shipping date, and when ask they basically said they couldnt tell me until I had submitted the order. Well then I found Bill's site and was SOLD. I value honesty and integrity more than saving some money so he got my business. I received my order well with in the time he told me and they were in perfect condition. The Berkey Black filters are in my opinion are not only the best water filter available, they are THE BEST WATER PURIFIER available on the market today. I will continue to order more because I believe that in any type of disaster clean water saves lives. I am a Veteran Medic and believe that lives could have been saved after the events in Haiti, Gulf Coast (Katrina), and in Japan if they had PURE water. Again I believe these are the best water purifiers to have in an emergency as they do not require electricity, or manual labor to get pure water. I don't ever want to think that I could have saved the life of a loved one because I decided to save a few bucks instead of buying the best water purifier I could. THANK YOU BILL FOR HELPING ME HELP MY FAMILY. Every prepper can look back to their "aha!" moment: that moment when the scales fell or the heavens opened or they simply couldn't ignore that niggling uneasiness in the back of the minds any longer and they knew it was time to act. Mine came in 2008 with the floods here in Iowa. I was a 2001 transplant from California, and the Old Timers would slap me on the back and say "Heck, son, this ain't nothin' compared to the ones in '93!" Those caused 17 fatalities, cost $2 billion and displaced 21,000 people from their damaged or destroyed homes. We were without power and water for days, relying on the government to provide. Miserably. Inadequately. Impotently. In point of fact, Iowa has had 18 major disasters since 1989- ice storms, blizzards, floods, tornados. 16 have resulted in both gubernatorial and presidential declarations of disaster. In every case, the governmental rhetoric has been along the lines of "We are committed to helping Iowans... timely and efficient manner...serve as a resource in the coming days, weeks, and months...begin the road to recovery..." In every case, nothing of any real or lasting consequence was done. Immediately after the waters receded the Army Corps of Engineers started a multi-million dollar study of how to improve the soil levy system along the rivers. 3 years later they've instituted their master plan: dump more soil where the water washed it away. Brilliant. The point is, these catastrophic events and the bumbling responses to them, immediate and long-term, finally tripped my "a-ha!" moment. It came with the realization that if you don't have it in your hand, you don't have it. If you don't control it, it isn't there. If you depend on anyone for your safety and well-being except yourself, you'll be, at best, unpleasantly surprised at the outcomes. Finding Bill and World's Best Water Purification Systems has been one major step in taking back responsibility for and control of my family's safety and security. The Berkey water filter system is unarguably the finest on the market. If it hadn't been I wouldn't have given it a second thought. But there are a dozen and more places out there that will sell you the thing. World's Best goes further than that. Bill is the kind of businessman you just don't see much anymore: a dedicated entrepreneur who sees a need, finds the best product, tells the truth about its uses and limitations, makes it available at a reasonable price and turns himself inside out to fix a problem- even if it's not his fault (Berkey delayed my filters a couple of weeks because of long backorders and Bill was updating me constantly on their progress). If you're here, you're already listening to that niggling voice. You know tough times can come in the blink of an eye, and when you need to be prepared it's already far to late to start. If you need education or assistance about water purification, Bill can help. He knows what he is talking about. He answers his own phone. He's a resource you're very wise to tap. Just a quick note to let you know how pleased I am with the service that I received while shopping for Berkly water filters at your store. After doing some research for water filters, I discovered that Berkey filters were the best on the market, so I started shopping around for a good deal, that's when I found you. I called your phone number to ask for help with processing my payment since I was having difficulties with PayPal. I was truly surprised with the professional and friendly help that I received, and with your knowledge about the Berkey water filters. In today's environment it is seldom that I encounter helpful and friendly service. All in all, I just want to say thank you very much for being part of the human family. Glad to help out. I was turned on to Berkey by a good friend. He is one of the smartest men that I know. A very strong Christian man who lives his life in obediance to the Lord! This man takes being prepared very seriously and encourages everyone in his circle to do the same. I am just starting to understand that being as independant as possible will be crucial to survival in whatever man-made or natural disaster may be heading our way. We are blessed in this area to have many underground springs, but I have been undergound and I have seen dead animals and feces in the water that comes out crystal clear. I want to drink with confidence whether I'm on a week-long campout or dealing with uncontrolable circumstances that may drive me from my home. I hope this helps you in some way. Wishing you all the best! I just wanted to send you a quick THANK YOU! I usually don't stop until I get what I want. I have spent a lot of time researching and looking for the best deal. I even called several companies, but they were not willing to work with me on what I was looking for. I just wish I would have found your site sooner, it would have saved me a lot of time. As I wish I could of ordered more water purifiers at this time, but have to wait for more money. I am hoping to order more from you in the future. Hopefully everyone that sees my new water system will fall in love with it and I can send them your way. The best thing is being able to contact you by phone for information. That just does not happen much any more. Thank you and I look forward to seeing my Royal Berkey come in the mail. We went through Katrina and were without running water for 17 days. We lived on a lake but could do nothing with the water because it was not drinkable. The men would go to town and buy ice and that is what we drank plus the water that was handed out by whomever. With all that is going on in the world one never knows what is going to happen. We had heard good things about the Berkey so we decided it was time to have control of our own water for emergencies. The Berkey was received it great shape and we are glad to have it as part of our household items.